Today was decidely better. I solved most of the problems I uncovered yesterday, and after a long struggle I got the splitscreen feature working aswell! It’s not perfect but it’ll have to do. There’s this strange phenomenon that has happened to me at least a dozen times now where I type up a post on the forums describing the problem and asking for help, and almost always right before I hit the POST button I come up with either a solution or a workaround! It’s a funny thing. 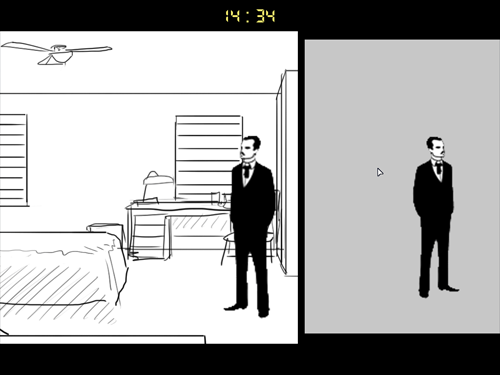 I also sketched out all backgrounds today, so I can finally start building rooms now and get this thing underway proper!